This photo taken on August 1, 2017 shows Chinese People’s Liberation Army personnel attending the opening ceremony of China’s new military base in Djibouti. In my previous two articles (China’s Neo-Colonizing Bag of Tricks and China’s Neo-Colonising Bag of Tricks: Malaysia), I explained how China’s “build now, pay later” investment strategies have entrapped many smaller countries as China’s neo-colonies of the 21st century. The case previously highlighted was that of Sri Lanka. The country owes China billions of dollars, and as part of Sri Lanka’s debt reduction deal, China has full operation of Sri Lanka’s S$1.53-billion Hambantota port under a 99-year contract. Then there is Malaysia, which has seen US$134 billion (S$184 billion) worth of Chinese investment in the country. Much of this has been used by Chinese developers to build towns and expensive properties, which are then sold to wealthy Chinese homebuyers. In May 2018, Harvard University’s John F. Kennedy School of Government published an analysis report entitled “Debtbook Diplomacy”, detailing how China is leveraging on its new-found economic influence to exploit 16 countries worldwide. 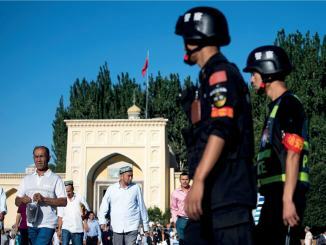 In their report, countries like Pakistan, Djibouti, Myanmar, and Sri Lanka have sunk deep into China’s debt-book trap, either having ceded a key port or military base to China. In this article, we elaborate on Djibouti’s case. Djibouti is a small barren coastal state by the Gulf of Aden and Red Sea, on the eastern side of Africa. It is one of the countries comprising the Horn of Africa. Djibouti oversees the Bab-el-Mandeb Strait, where an estimated 12.5 to 20 percent of global trade passes every year. Its land size is 44 times larger than that of Singapore, but one-tenth the size of Malaysia. It has a population of 942,333 people (2016 estimate) and a GDP per capita of US$2,214 or S$3,036 (28 times smaller than that of Singapore’s). According to UNICEF, the country remains plagued by a high poverty rate (over 40 percent of the population is under the poverty line), a catastrophic unemployment rate of over 60 percent, and risk of famine threatening almost 25 percent of the population. Djibouti was a French colony. Its engagement with France started in 1862 and lasted until 1977, when it joined the United Nations as the Republic of Djibouti. French is still one of the official languages of Djibouti today. 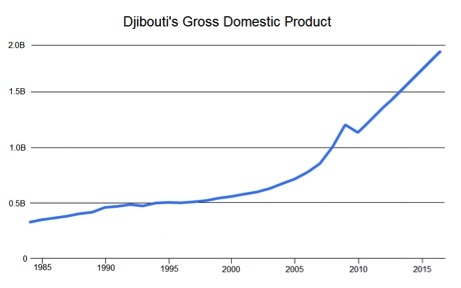 Although Djibouti’s gross domestic product (GDP) has expanded at an average of 6 percent per year, from US$341 million (S$468 million) in 1985 to US$1.5 billion (S$2.06 billion) in 2015, its government debt-to-GDP ratio has increased steadily since 2014 to reach 90.7 percent last year. A 90.7 percent debt-to-GDP ratio is not at all alarming, if you consider Singapore’s ratio is 110 percent and Japan’s ratio is 253 percent. What is concerning is the nature and composition of the debt. As you can see from the geographical map, Djibouti is situated at the narrow entrance to the Red Sea and the Suez Canal. Its strategic location has become a favourite spot for the world’s foreign military bases. France, the U.S., Japan, Italy, Saudi Arabia, and recently China have set up bases in Djibouti. Russia, Turkey and India have made enquiries. France maintains its largest overseas forces in Djibouti across four bases. France’s presence has shrunk to 2,000 personnel due to budget cuts. It supports Djibouti’s counter-terrorism and counter-insurgency operations elsewhere in Africa. The U.S. maintains a 4,000 strong presence across two bases. The naval base in Camp Lemonnier, located at the southern end of the Djibouti-Ambouli International Airport, was set up after the 9/11 attacks to combat terrorist threats in Yemen and the Horn of Africa. It plays a key role in the U.S.’s drone operations in the region. The second base on Chabelley Airfield was recently set up and has not been publicly made known to the world. On 1 August 2017, the Chinese inaugurated its first overseas naval base beside the Port of Doraleh in Djibouti, just tens of kilometres away from the U.S. naval base. The Chinese base is 300 personnel strong, covers 0.5 square kilometres, and has a 400 metre runway. Chinese defense ministry spokesman Ren Guoqiang said that the new facilities would enable Beijing to “better fulfil China’s international responsibilities including anti-piracy work and to maintain the peace and stability of Africa and the world”. 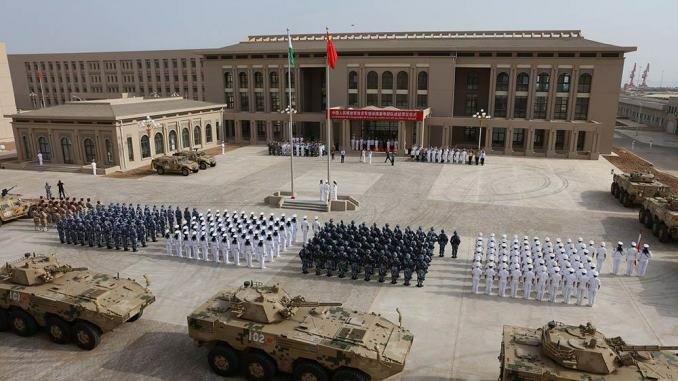 The base ensures China’s military presence in Djibouti up to 2026, with a contingent of up to 10,000 soldiers. Japan has a 180-strong base at the Djibouti-Ambouli International Airport —also its first overseas military base—to combat pirates off the coast of Somalia. Djibouti prizes itself as a major support facility for warships and aircrafts engaged in the EU’s anti-piracy mission in the region. Other navies, including those of Iran, Malaysia, Russia and India, also make use of Djibouti’s ports. 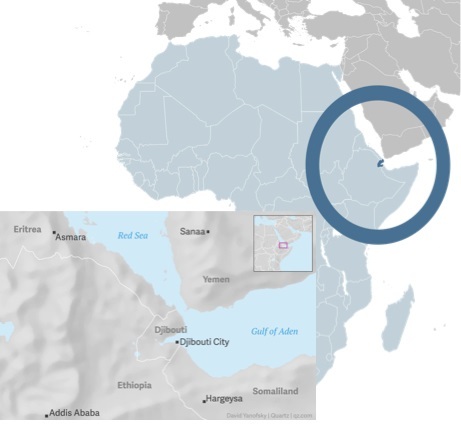 The widespread use of Djibouti reflects its attributes, particularly its strategic location near both key shipping routes and regional ‘hot spots’, as well as its well-developed port facilities. In 2013, Djibouti contracted two large loans totalling US$860 million (S$1.18 billion) to finance the building of the Addis Ababa–Djibouti electric railway and a water pipeline from Ethiopia to Djibouti. In 2016, Djibouti took out another government-guaranteed loan of US$340 million (S$466 million) to finance the construction of a multipurpose port. These three loans were extended by the Export Import Bank of China (EXIM), and during 2014–2016 alone, disbursements reached a cumulative US$1.1 billion or S$1.5 billion (over 90 percent of the loans contracted). To date, China has invested more than US$1.4 billion (S$1.9 billion)—the equivalent of 75 percent of Djibouti’s GDP —into critical infrastructure in Djibouti, including three ports, two airports, the Ethiopia-Djibouti railway and the water pipeline from Ethiopia. About 77 percent of Djibouti’s total government-guaranteed public debt is owed to China’s EXIM Bank. China’s EXIM Bank is wholly state-owned and is under the direct leadership of the China’s State Council. It has a mandate from the Chinese government to “help Chinese companies secure contracts and acquire assets abroad”. In July 2018, Djibouti opened the first phase of a 46.6-square-kilometre, US$3.5 billion (S$4.8 billion) free trade zone, backed by the China Merchant group, the Dalian Port Authority, and the Chinese investment firm IZP Technologies. The U.S. has raised concerns that China is laying yet another debt trap for Djibouti. U.S. House Appropriations Committee, U.S. Navy Secretary Richard Spencer accused Beijing of “weaponising capital”, If the debtor fails to make payments, “the asset owner comes and reclaims it and says these are now ours,” said Spencer, referencing China’s Hambantota port deal with Sri Lanka. Echoing the same sentiments is Philippe Danieau, General Manager of CMA CGM Djibouti S.A., one of the biggest logistics companies and an ex-high ranking official in the French military. “Unfortunately, with the Chinese grip on all investment projects due to its financial conditions and near unbeatable implementation costs, alternative funding sources are drying up,” Danieau said. 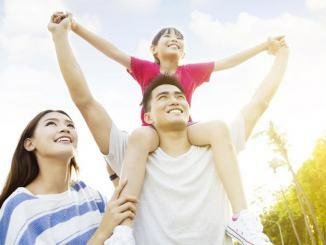 China today bears many hallmarks of a capitalist society. It has a state-led market economy that has produced many more billionaires than the U.S., but has also generated rampant economic inequality and corruption. With China’s economic progress, one might believe it has put its dark communist past behind and, like any Western country, is now embracing capitalism full steam. To commemorate the 200th anniversary of Karl Marx, Xi said that the political theories of Karl Marx remain “totally correct”. Does China’s successful market economy remain a means to fulfil the party’s communist ideals? China has always rephrased its state-led market economy as “socialism with Chinese characteristics”. Is China creating this “abundance of material wealth” to advance into the later stages of communism expounded by Karl Marx? With a one-party political system managing a country of 1.3 billion people, one can never be too cautious.